The original Halal Guys food stand in downtown Manhattan routinely has customers waiting in long lines at lunchtime. Its first foray into the Canadian market features a fully equipped restaurant located at 1448 Mackay Street. 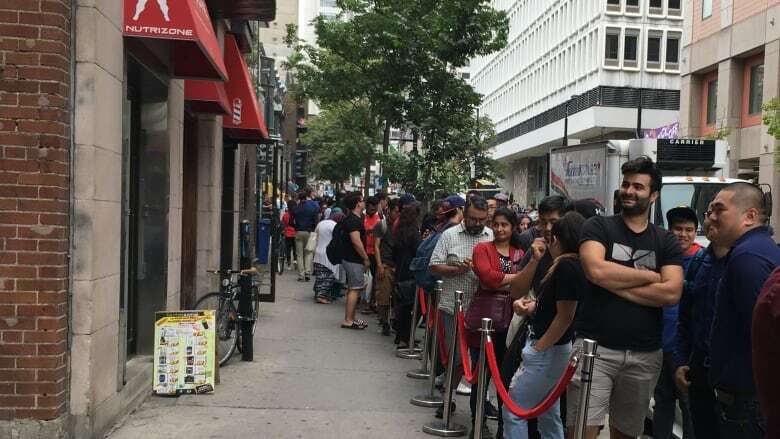 Montrealers lined up around the block at Mackay Street and De Maisonneuve Boulevard for the grand opening of Halal Guys. The downtown Montreal locale is the first Canadian incarnation of the popular New York-based chain. 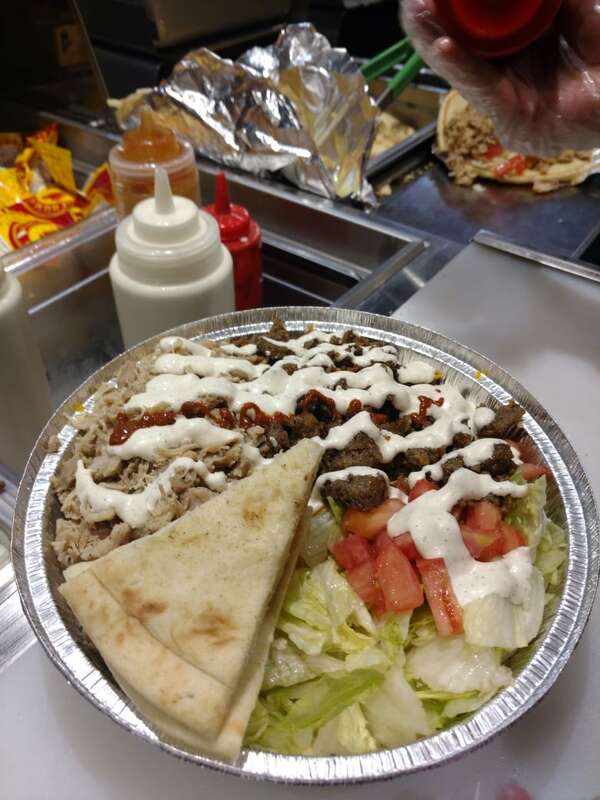 A sample of the shawarma plate at Halal Guys in Montreal. The original Halal Guys food stand in downtown Manhattan routinely sees customers cooling their heels in long waits over the lunchtime rush. Its first foray into the Canadian market features a fully equipped restaurant located at 1448 Mackay Street. Jackie Bolofer made sure to line up well in advance for her chance to try Halal Guys' famous shawarma. "We were here before opening," she said. "We got in within 20 minutes. We got served right away." She said she was pleased with the service and the quantity of food on her plate. "It's really good," she said. "Big portions. The baklava was really good, not too sweet." Atiyah Hussain was also looking forward to comparing the Montreal menu with the Big Apple's original. "I've had it in the States, and it's really yummy," she said. "My husband introduced it to me." Not everyone was quite so receptive, with some taking to Twitter to complain about the quality and price. Halal Guys combo in NYC: $7US. Halal Guys combo in Montreal: $15.30CAN. Canadian dollar 👎. As part of the grand opening, the first 500 customers were given the chance to win merchandise and food.